2018 Update – It saddens me to let you know that Tropical Wings closed on 4th December 2017. I wish they could have saved it, but it was not to be. The animals are being homed at other zoos. Back in number 3 of My Week That Was, I mentioned that we visited Tropical Wings Zoo, a local-ish zoo to us, in South Woodham Ferrers. We have been here in the past, but I don’t think I wrote about it on my blog, or maybe, it was pre-blog! But I’m going to tell you all about it now! With Liam at his dad’s for the weekend, Steve and I decided to go out for a drive, late Sunday morning, and see where the road would take us. On this occasion, it was down the A130 to Tropical Wings Zoo, of course – that’s what I’m writing about here! As with all of my posts, you can click on the photos in the mosaic galleries to bring up a larger image. Tropical Wings isn’t a big zoo, but I kinda like that – it means you can see a lot in one visit, and don’t feel like you have to rush around. That said, there are lots of birds and animals to see here, so in terms of species, it’s big – reading through the list of animals at the zoo, I realise we missed quite a few of them. Whilst this was a “grown up” visit – just hubs, and I, it’s the perfect day out for families, with lots of events going on during the day including watching the animals being fed, as well the chance to get up close with some of the animals. 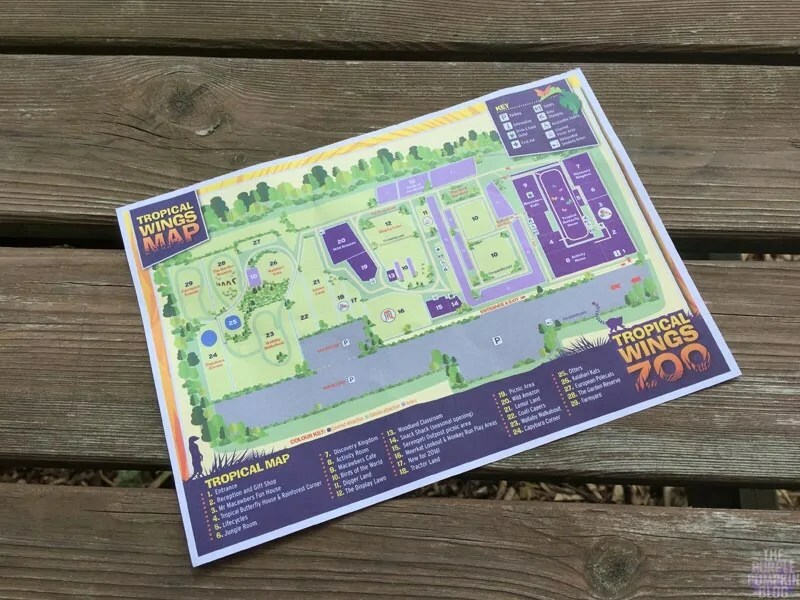 The full programme of events is on the back of the map that you are given when you enter the zoo. The Discovery Sessions have been designed to support the school curriculum, from Reception through to KS2. There is also some sessions available for children with special educational needs. We paid a very reasonable £10.95 each for entry to the zoo, and it is definitely value for money. You enter via the gift shop, and then can go through the Tropical House, or if you’re not a fan of fluttering things, and humidity, you can walk down the corridor which takes you outside into the zoo. We didn’t spend much time in the gift shop (other than to buy a snack, and a fridge magnet on the way out) but there is a good range of things on offer. There are several playzones – Jungle Juniors for children 5+ and Jungle Tots Soft Play for 0-5, as well as Tractorland, and Mini Diggers which require a £1 coin to operate. There is also an Activity Room, where some of the animal encounters and activities occur. There are picnic areas, so you can bring your own picnic with you (which we have done in the past), and there is Macawber’s Cafe with hot and cold food, as well as a Snack Shack by the outdoor play area. This is a lush, tropical house, full of plants and flowers, with free-flying butterflies, and birds – the Red-Crested Turaco stole my heart! There is a pond with Koi Carp, and several aviaries with a pair of Red-flanked Lorikeets, Green Iguana, and Red-foot Tortoises. Just off the Tropical House is Rainforest Corner, a room dedicated to life in the rainforests of the world. Here you can see Pygmy Marmosets, Dumeril’s Boa, Caiman Lizard, Giant Day Geckos and African Bullfrog. We must have completely missed this, because I do not have any photos or video of these creatures! I guess a zoo called Tropical Wings wouldn’t be complete without tropical birds, and there are lots of them to see here. I didn’t capture all of them with my lens, and looking the list of animals on the Tropical Wings Zoo website, I am pretty sure we didn’t see all of them. But what I do have photos of are: Double Yellow-Headed Amazon, Green-Winged Macaw, Long-Billed Corella, Blue And Gold Macaw, Citron-Crested Cockatoo, Zebra Finch (who made the cutest little noises! ), Silvery-Cheeked Hornbill, Pied Crow, Black-Cheeked Lovebird, Red-legged s=Seriema, Blue-Winged Kookaburra, Laughing Kookaburra, Harris Hawk, Eurasian Eagle Owl, Barn Owl, and Burrowing Owl. There is a display lawn, where there is a daily show – where you will see some of Tropical Wings’ birds in flight. We didn’t catch this show sadly – next time? We didn’t venture out to the Farmyard section of zoo, but there were some goats in a pen near the birds. Additionally, as you wander through the various aviaries, we also saw Black-Tailed Prairie Dogs, and a pair of Striped Skunk. Here we saw lots of little Squirrel Monkeys, which were the cutest little creatures. My mum loves monkeys, I know she would love this exhibit! In addition to the Ring-Tailed Lemurs, this pen also house as a pair of Sulcata Tortoise – one of which had hiccups! 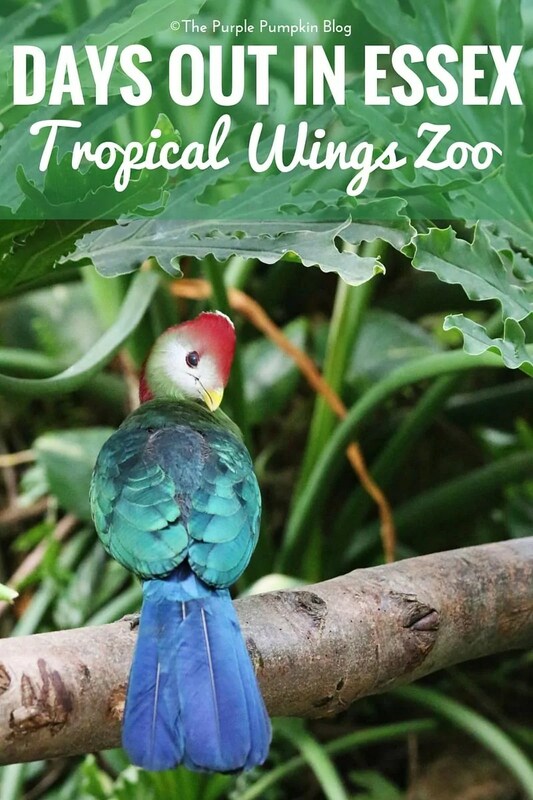 You can see that event, and more from our day at Tropical Wings Zoo in the video at the end of this post! In a pen next door were Ring-Tailed Coati, and next to that was Wallaby Walk. I didn’t venture into this section, as I had to sit down for a bit, but hubs went in there and the footage is the aforementioned video. There were Helmeted Guineafowl, Mara, Red-Necked Wallaby, and Capybara. The Meerkat mob at Tropical Wings is one of the largest in the UK, and they are always a visitor favourite! While we were there, a young boy with his family was having a zoo keeper experience, and it looked like he was having a great time. I do remember thinking about that for Liam’s birthday when he was younger, I never did book it – a shame, he would have loved it! You can see the meerkats being fed, which is a really fun thing to watch. We didn’t see that this time, as we had left by the time on the programme, but have seen it on a previous visit. It’s so sweet how the meerkats know it’s feeding time, and the scurry to the edges to wait for the keeper. They bury eggs into the sand, for the meerkats to dig out, as it mimics their natural behaviours. And that is pretty much it for our day out! I hope you’ve enjoyed looking at my photos and video, and reading about the zoo – well worth a visit if you live in Essex, or nearby! 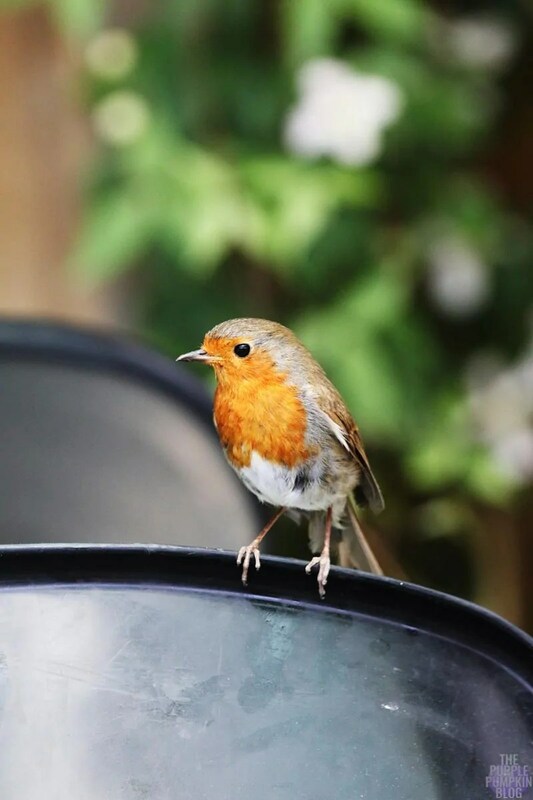 I’ll leave you with a final photo of a robin, that seemed to be following us around all day – so sweet.